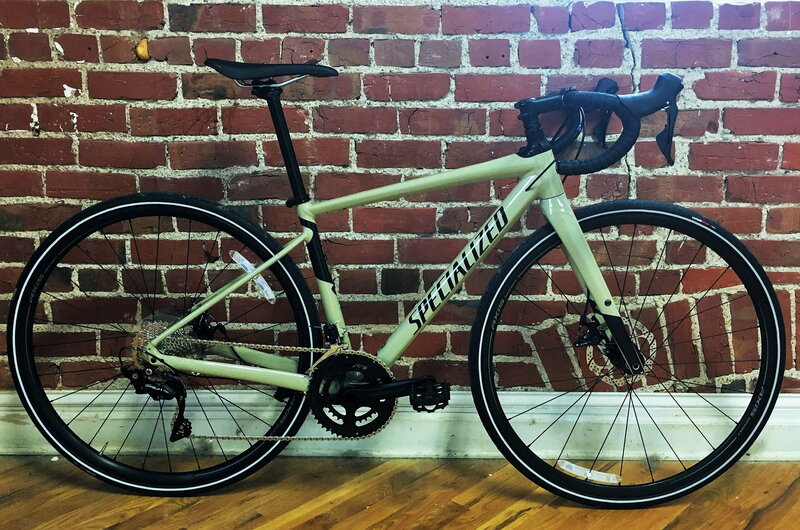 The Specialized has braze-on eyelets but I don't see any rack mount screws or holes on the seat stays. IIRC Specialized wants you to use a seat collar system. 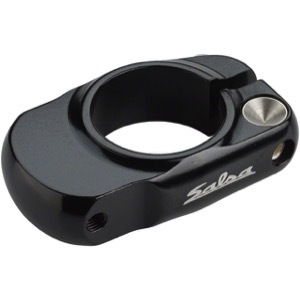 You'd attach the rack to the seat collar with rack eyelets. Problem solvers makes one, axiom, trek, etc. See? I was correct. With that geometry, it looks like you'll need a rack with long stays. Go Sequoia if you want better rack mount capabilities. 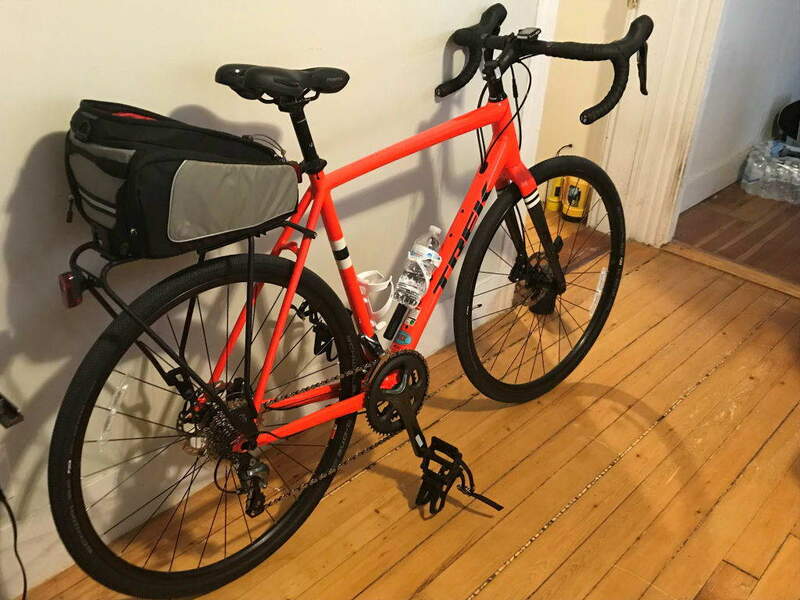 The Diverge is a great bike for gravel racing but not as ideal for racks and carrying a bunch of gear. That is why they have the Sequoia and the AWOL. it looks like it has rack mounts near the hub and the seat collar looks like what @Elvo posted. At least based on the pictures here. and the seat collar looks like what @Elvo posted. At least based on the pictures here. Very well could be since that seat collar is a Specialized product. I still think the setup is going to look a bit strange and require a rack with long stays. The seat collar appears to be a fair bit below the top of the rear tire. That, combined with that elongated rear triangle (as compared to the Trek pictured), looks like it will set rack relatively far back, causing the need for long stays to reach the collar. i agree it will look a bit odd. 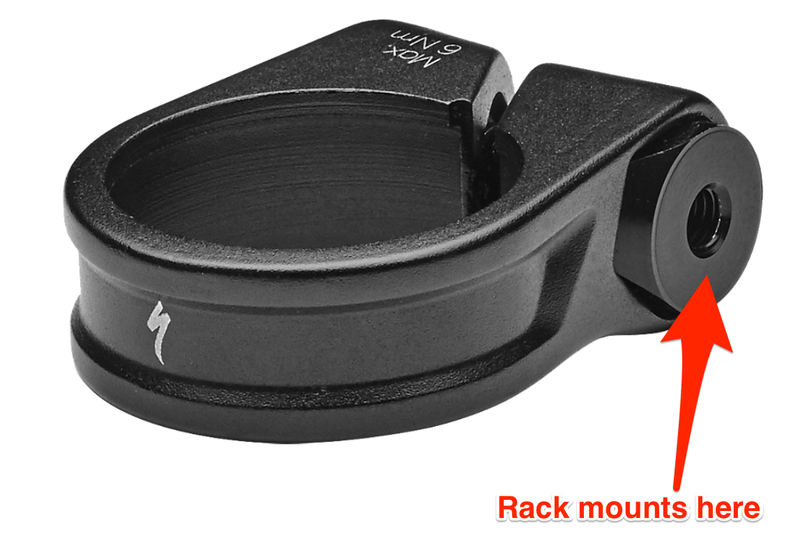 i am not sure i like the idea of a seat collar for my rack versus mounted to the frame. Last edited by fietsbob; 02-07-19 at 06:14 PM. What's the rationale for a seat collar vs seat stays bosses? If it aint got any its how you cope. there are QR skewer adapters if lacking any rack mount on the bottom end.. The only rational is if you don't have bosses on your seat stays. There is no other reason to mount your rack to that aside from not having the proper bosses in the first place. Generally in those situations it is the manufacturer telling you maybe not racks on this one especially if they have bikes with rack mounts. I assume it's for product differentiation. They don't want one line cannibalizing sales from another. But that limits the versatility of a bike from the consumer's standpoint. Frustrating since I like the idea of a 'quiver' bike even if it doesn't really exist. I have this exact set up too. That trunk is rather expensive. I think I like the trunk enough to pay the 80 bucks. Do you like your set up with the trunk.?? 2 similar bags ,, Velcro version fits other racks, the push button is perfect with its matching rack... LBS sold both.. The Bontrager BackRack is a best buy. I got the BackRack S for my compact frame comfort hybrid/errand bike more than 3 years ago. It's very sturdy, will definitely handle the rated 50 lb limit, and even a couple of slow speed crashes haven't screwed it up -- just scraped off some of the black anodizing. For a compact frame bike with sloping top tube you'll need the heavy duty tubular support struts. The flat, twisted metal spring steel struts are suitable only for old school diamond frames with horizontal top tubes. The longer support struts needed for sloping top tube bikes need to be much stiffer. 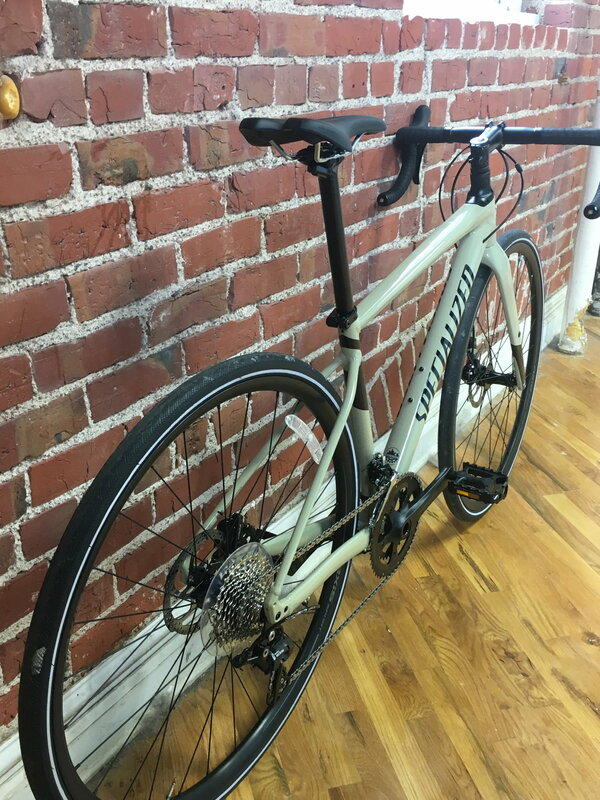 Bontrager isn't the only source for rear racks with those long, stiff tubular struts, but they're the most cost effective I've seen. Check 'em out. They include all necessary hardware, including stainless steel bolts. In trunk bags, keep in mind that heavier loads on top of the rack will affect balance. At some point it's better to go with panniers. Depends on whether you're just doing local errands, or touring/bike-packing. If the latter, check the forums for those specialist pursuits. I use racks and bags only for errands. My longest rides might be 40 mile round trips, if I'm combining a casual ride with grocery shopping or errands to a store that isn't nearby.